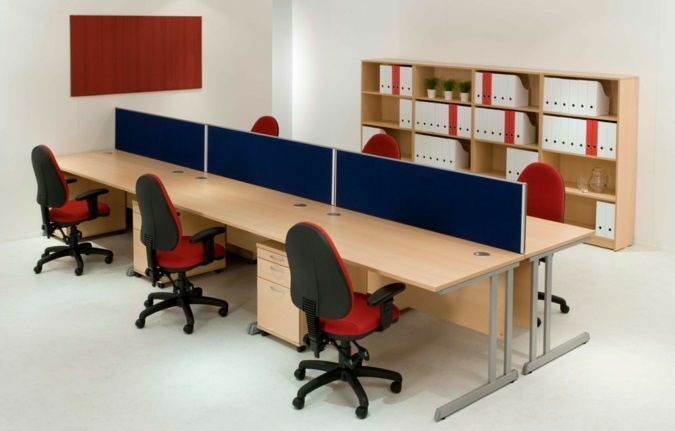 Desktop Screens are available to fit any desks in various height and width sizes and colours. 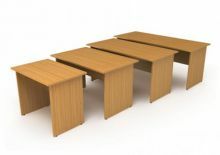 Straight, Wave and Curved are available in any size you need . You can have Maple,Grey or just fabric Trim on the Screen edges as standard. 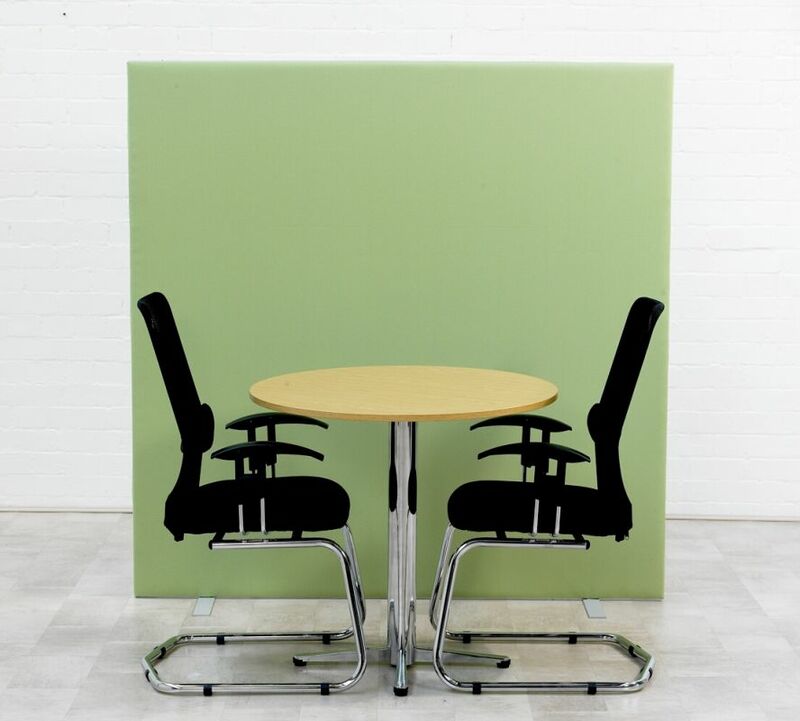 Floor Standing Screens are also available in Straight ,Angled , Curved or Waves. All of the above can be linked but must be stated on order. 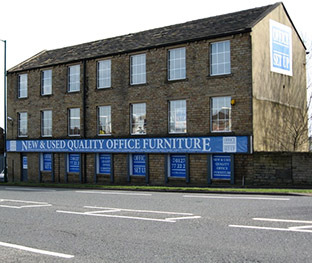 Screens come in Camira Lucia and Cara ranges and Bradbury Galaxy and Screen 66 as standard. W:1000mm x D: 600mm x H: 730mm. 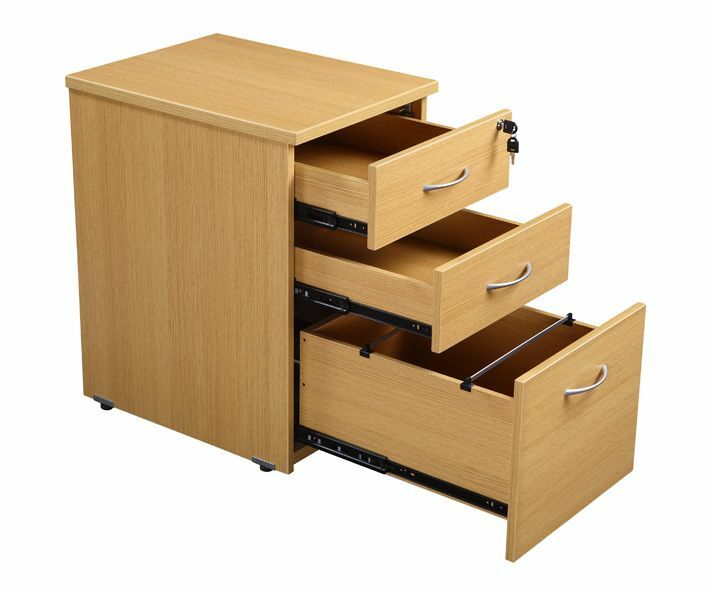 Drawer Full Height Mobile Pedestal. W: 438mm x D: 600mm x H: 680mm. Ball bearing runners are standard to all drawers. 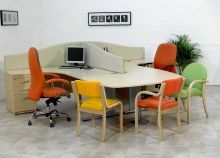 Beech and Light Oak are Available. 3 Drawer Desk High Pedestal. W: 438mm x D: 600mm x H: 730mm. 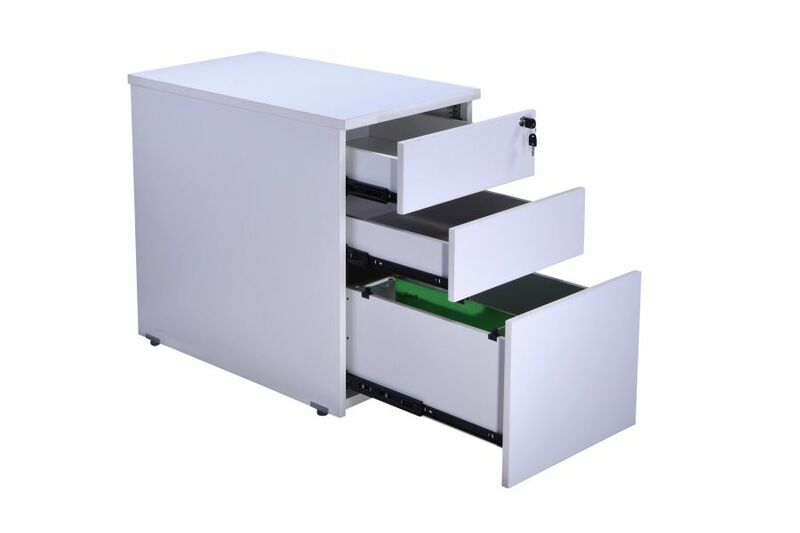 W:1400mm x D: 800mm x H: 730mm. Opto Extra 1600 x 800 cantilever desk. 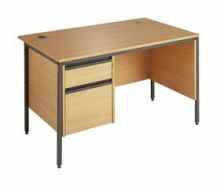 Priced for Beech , Birch , White Oak and White. 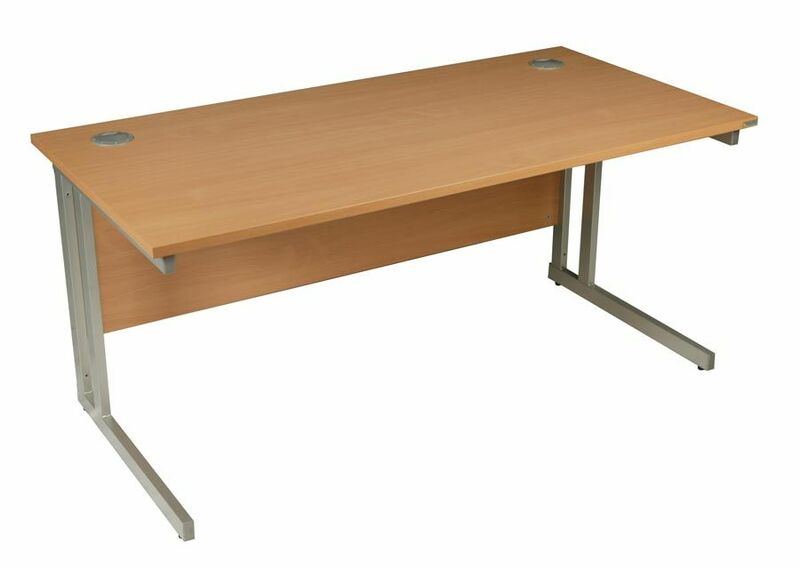 A complete and versatile traditional style panel leg desk. 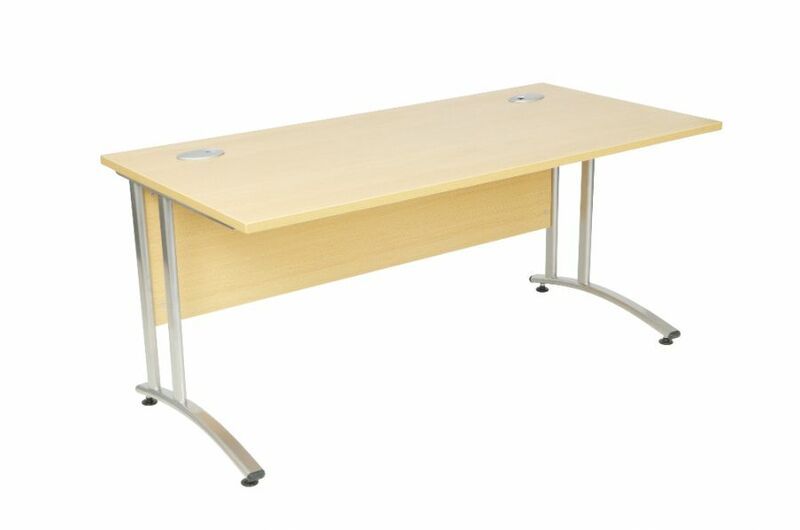 25mm Tops with 3mm edging and 25mm Legs and modesty panels. 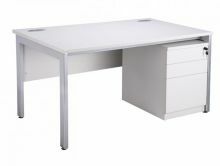 White - Minimums quantities apply please call for details. All are on 4-5 weeks lead time. W:1600mm x D: 800mm x H: 730mm. 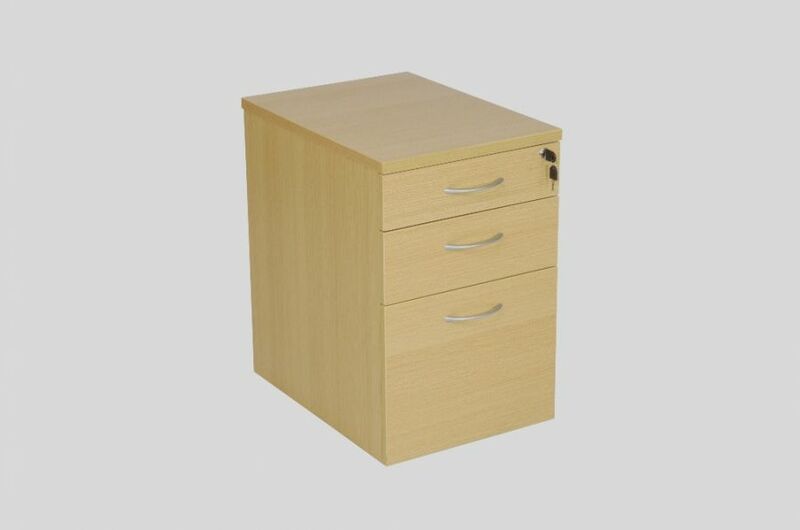 Plain 25mm Top available in Beech , Birch , White oak and White with either Metallic, White or Dark Grey Legs. Other sizes and variations (4-6-8-10 person Bench Desks) are available at request. Free delivery within the local area. Rectangular desk featuring cantilever shaped legs, cable management ports and a Maple finish. The Ecoline Rectangular Desk features a durable design with a cantilever legs for added support and extra strength. 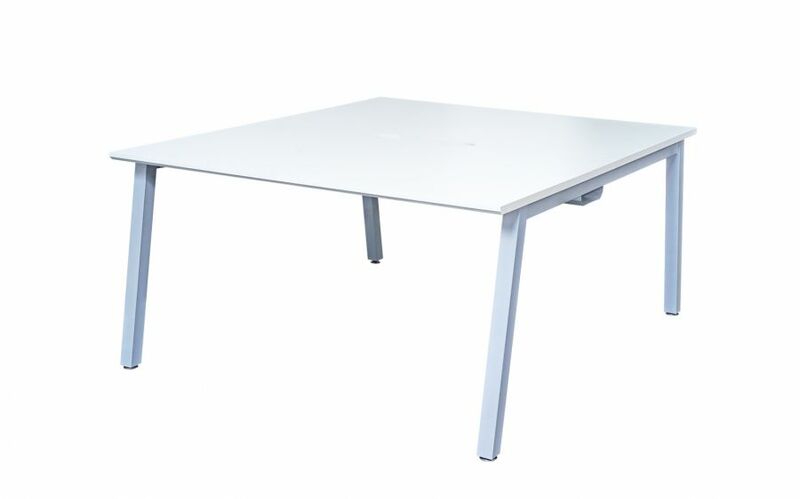 Finished in Maple only, it comes with two cable ports for easy cable management . 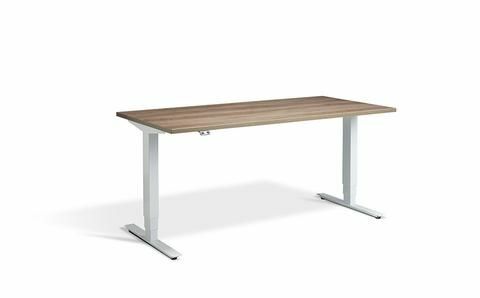 and Walnut and Light Grey + 10% to price. 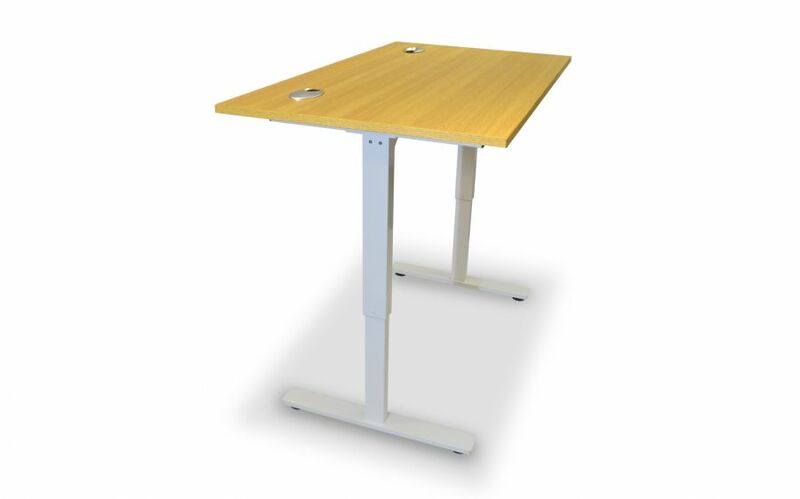 Ergolift height adjustable electric Sit-Stand desk. 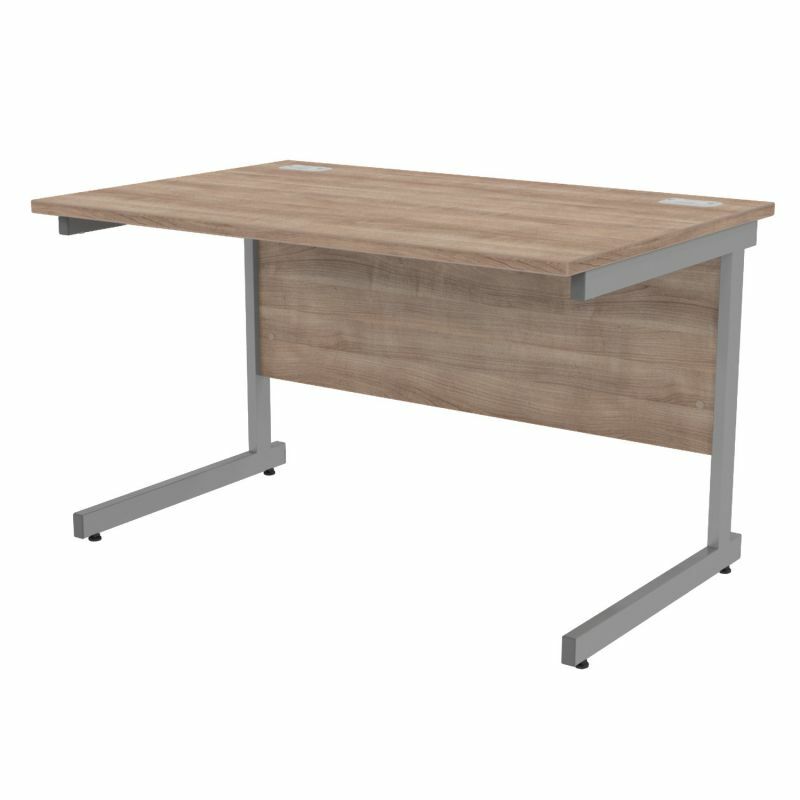 New Nova desk range with straight frames. 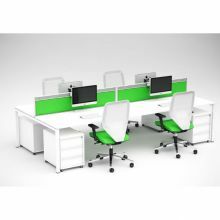 Price listed is for 2 pod unit. . Screen,pedestals and chair not included. 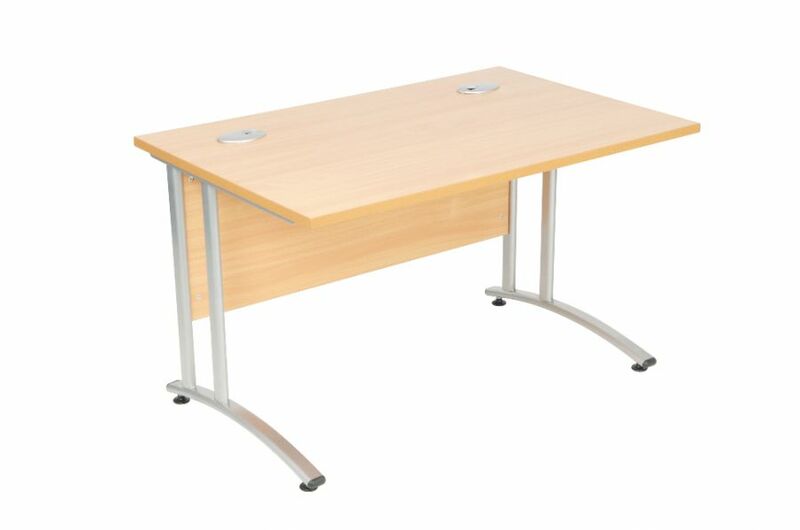 manufactured in Europe from top grade steel. 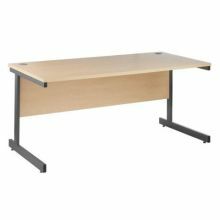 Available in two frame colours and eight top finishes, this adjustable desk will will in any office environment, from 1200x800mm (ideal for hot-desking, agile working and telesales role) to 1800x800mm (perfect for executives and managers). 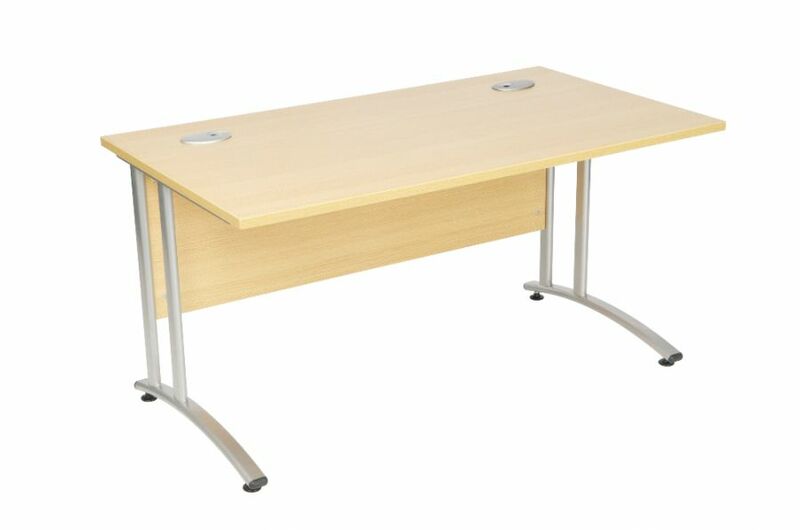 This height adjustable desk features advanced anti-collision motors as standard, making adjusting the height of the desk safe, easy, and also protects your pedestals and anything else stored under the desk - as soon as the desk comes into contact with a stationery object, above or below the desk, it will automatically stop and rise/fall by 100mm to allow the user to safely remove the object. 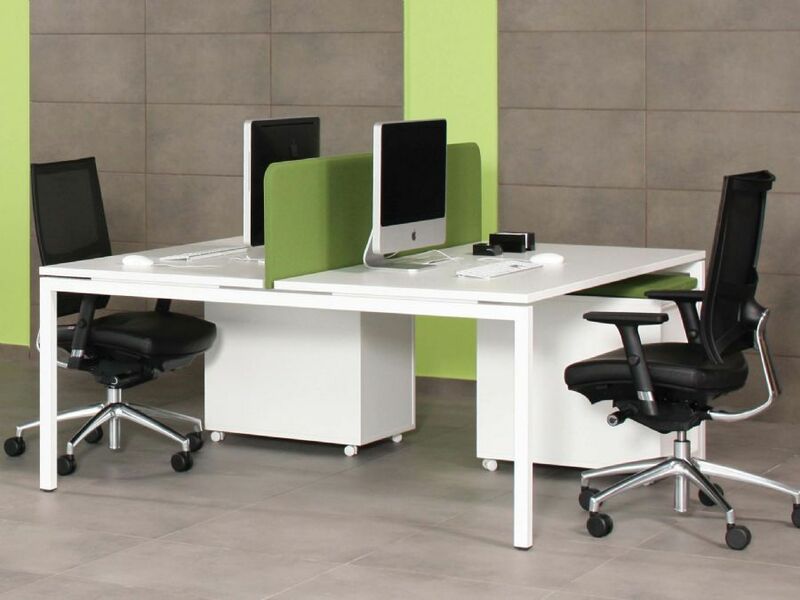 The Advance height adjustable desk is also one of the only next-day height adjustable desks to come with a free no-quibble 5 year manufacturers guarantee - meaning that you can be confident of getting a top quality world class height adjustable (sit/stand) desk. 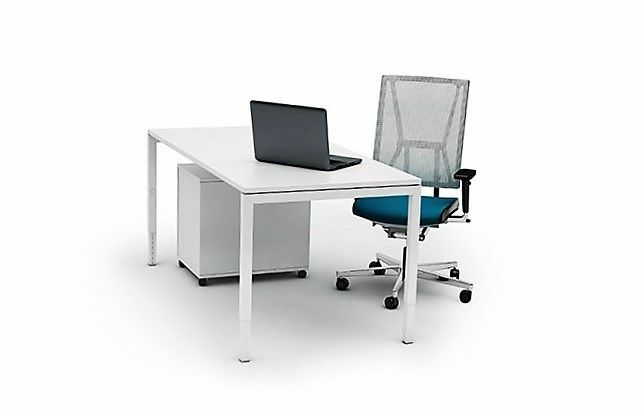 Price for the 1600 x 800 includes 4 way programmable controls , Cable management and cable port. New Nova desk range with straight frames. Price listed is for 4 pod unit. .